The mystery the world wants solved has been covered in a new book. IT'S probably the most salacious and imaginative theory when it comes to MH370, and it's Ean Higgins's favourite too. The journalist and author - whose riveting book on the hunt for the doomed Malaysian Airlines plane with 239 souls on board is out on Tuesday - is one of the world's "MH370 tragics", and not just professionally. It's hard not to be when you've spent years covering one of the world's greatest mysteries - not just in aviation - that still doesn't have an answer nearly five years later. Just what happened on the flight and where is the wreckage? The senior reporter at The Australian calls it the "MH370 international club", with fanatics sending each other links and emails on the latest news or piece of information - and that's on top of the nearly daily Google alert Higgins gets. Interest in MH370's mysterious disappearance has captivated people the world over, and it's probably why one of five theories in his book The Hunt for MH370 particularly stands out. 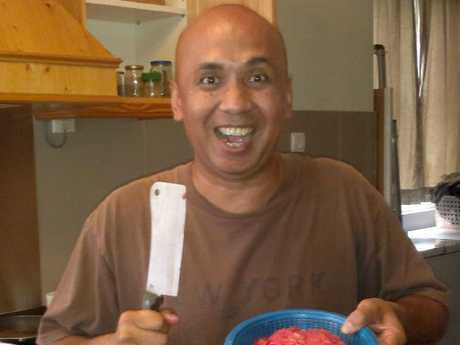 It involves an illicit affair and a meticulously planned mass murder by pilot Zaharie Ahmad Shah to be with his mistress who was waiting for him in a boat in the deepest, most unknown part of the southern Indian Ocean. There they would vanish without a trace and assume new stolen identities. The theory is from an authoritative Qantas source and, of course, means the pair could be anywhere now, going about their secret lives while the victims' families await answers and closure. 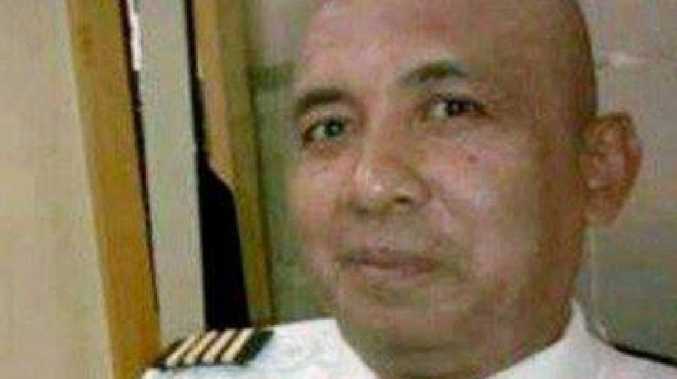 Is the MH370 pilot living a secret life with his mistress? Some people think so. The source is Qantas's former manager of flight training and veteran airline captain, David Shrubb. Higgins writes there is a precedent in aviation history for every key element required to make Mr Shrubb's theory plausible. The theory details how Captain Shah had enjoyed several mistresses over the years but Rina, with her "long, lustrous hair and sensuous figure", was the one who stood out. 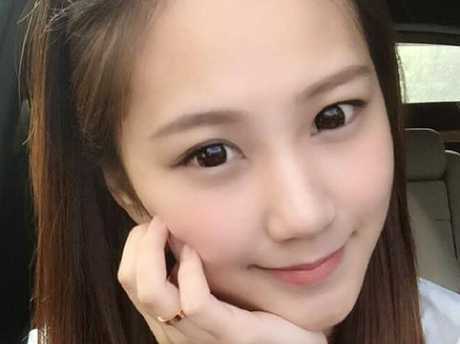 Rina had come into a handsome inheritance before she met and fell in love with the dashing airman while she was running the security scanners at Kuala Lumpur airport. "The love tryst couple decided on an elaborate plan to elope and secretly establish a new life in another obscure but pleasant Asian country," Higgins writes. He goes on to explain the captain used a criminal connection to get two stolen passports and that on the evening of March 7, 2014, he packed his flight kit with extra warm clothes, a bright waterproof torch, whistle and parachute. The pilot had skydived in the past so having a parachute would not seem that out of the ordinary if he was stopped. Once on board, Higgins details how Mr Shah did a number of things in quick succession, one of them being depressurising the plane so everyone on board would become comatose from hypoxia or die. 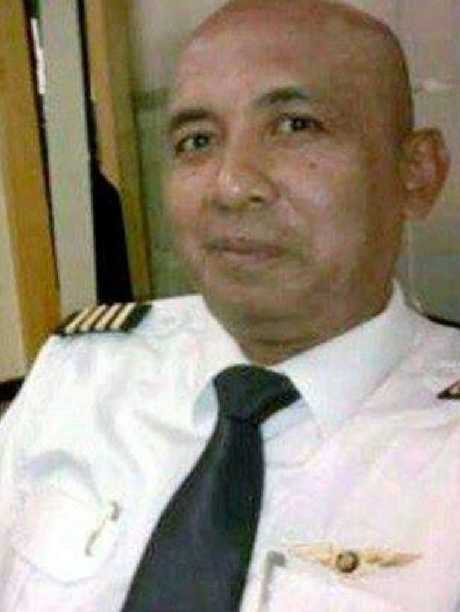 Stepping over the body of his co-pilot, he went back into the passenger cabin and "systematically but quickly went through the passengers' and crew members' wallets and purses and emptied cash into a waterproof container". The theory reasons that Mr Shah would have wanted to contribute financially to the couple's future despite Rina's inheritance. When he knew he was out of radar range about 2.30am, he went back to the cockpit, slowed the plane and took it down to 3000 feet. "Seeing the lights of the fishing boat he was expecting, just as planned at the precise agreed coordinates … Zaharie put a deflated life jacket on along with his parachute. "He returned to the passenger cabin and opened one of the exit doors just behind the wings, after pushing a lifeless flight attendant who had collapsed there out of the way." Mr Shah bailed out to the boat, with Rina guided by the torch and whistle. "Within 15 minutes the love of her life was safely aboard and in her arms, ready to secretly elope overseas and start a new life, the cash from the inheritance secure in the hold." 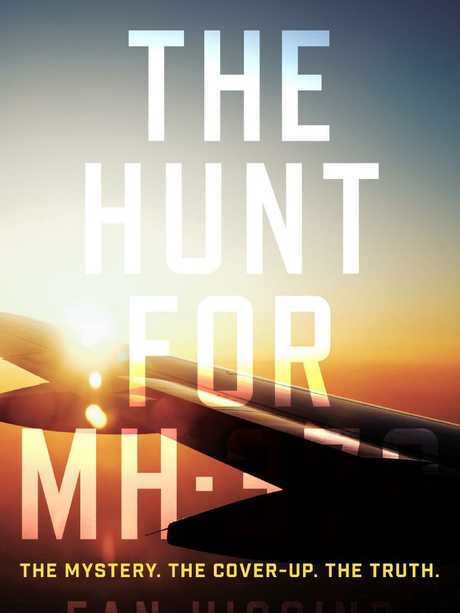 The cover of Ean Higgins’s new book The Hunt for MH370. After each theory is summarised in the book, Higgins explains its logic and precedence. "That's my favourite (theory) as well in a sense because it's the most imaginative," he told news.com.au. "There are lots of others, but you can exclude them basically. "We know a fair bit now to exclude things. The ones I have are the ones that are consistent with the known facts." Some of the most wild include the plane being taken over by aliens, or it was hijacked and flown to an Islamic rebel air base, with everyone on board still held hostage to this day. The latter even comes from some of the families of the Chinese passengers. All of Higgins's theories but one include the Australian Transport Safety Bureau's search strategy that the "ghost flight" finished on autopilot. Mr Shrubb's theory is supported by just one unsolved air piracy case in US history. In November 1971, DB Cooper hijacked a Seattle-bound flight by claiming he had a bomb in his suitcase. He demanded $200,000 and jumped out of the re-routed plane with a parachute, never to seen or heard from again. Higgins explains other elements, including opening the cabin doors at low altitude and speed, have precedents. 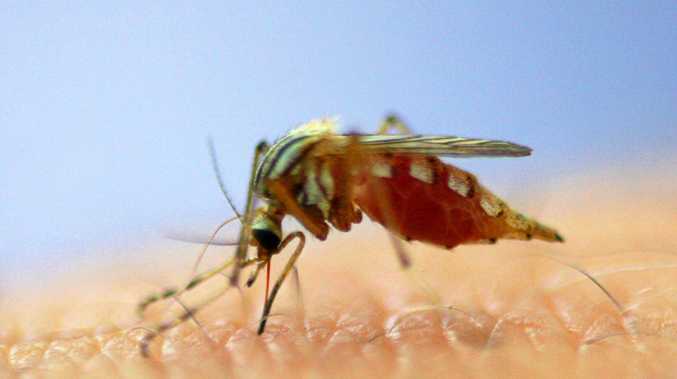 And in 2009, "hero pilot" Dominic James used a pocket pen light to attract the attention of a fireman after he had to ditch his plane off Norfolk Island, saving all six on board the medical evacuation flight. As Mr Shrubb told Higgins, Mr Shah wanted to leave his wife, which was quite a big deal for a Muslim, proving why he would go to such lengths to attempt the feat. Mr Shrubb said the pair went to one of the most remote parts of the ocean so the wreckage could never be found. "If ever found, it would show no captain on board and a door open," Mr Shrubb told Higgins. "When it is found we should look immediately to see if the captain is strapped in his seat. If he isn't, start an Interpol search to find him!" Higgins continues to search for answers on the disappearance.